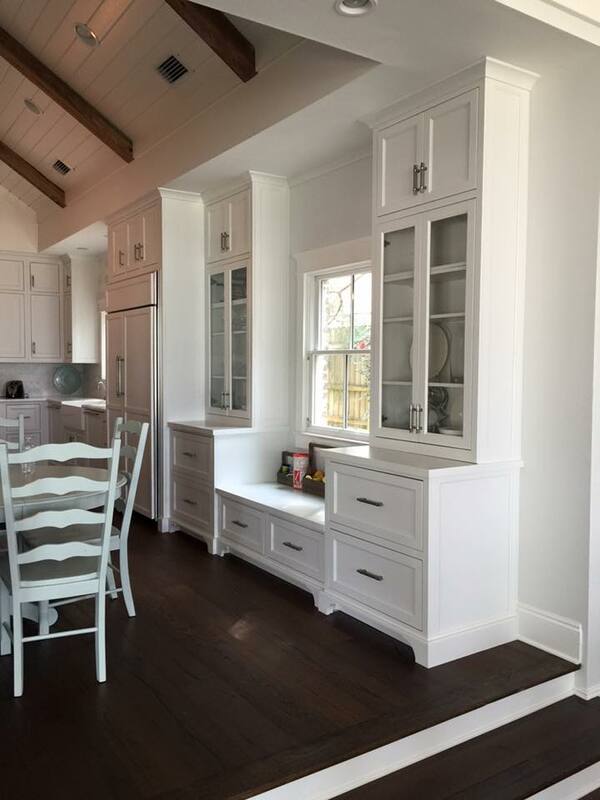 ​Vance & Sons Cabinets, Inc. is your home for quality custom cabinet craftsmanship and installation in the Baldwin County area, and your one-call solution to getting the design and utility you’re looking for. We have been bringing this specialized service to the area for many years, and have continually worked to set ourselves apart as a company that focuses on quality results and affordable pricing, giving you the finished product you’re looking for in your home or office. 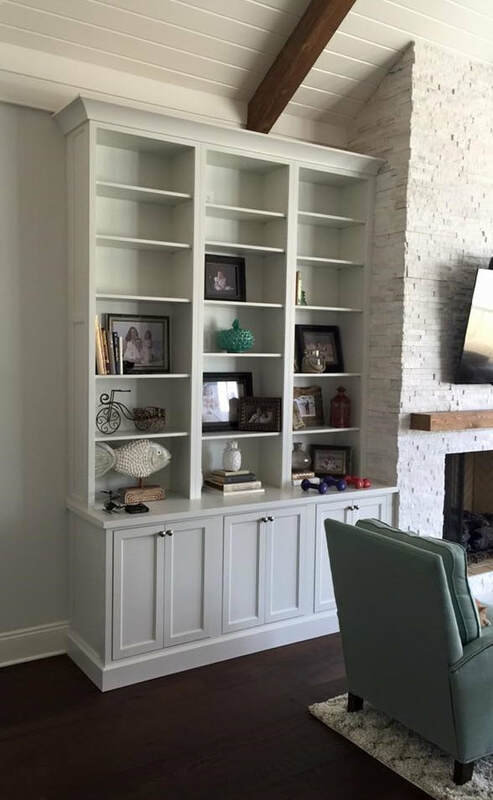 Rather than bringing you a service that does many things to a level of acceptability, we instead put focus into our strengths and expertise, and provide you with a service that brings you virtually unlimited options when it comes to your home cabinetry, closet and shelving needs. When you need a combination of aesthetic and practicality done in a means that provides you with reliable results, then making the choice to pick up the phone and call into Vance & Sons Cabinets, Inc. is the first step in the direction that leads you to the perfect finish. 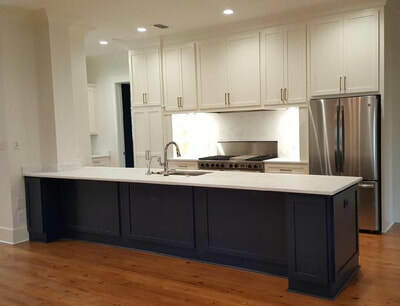 Learn More About Vance & Sons Cabinets, Inc.
Each of the services that we provide to the Baldwin County area are ones that we have spent years perfecting, and each of the experts that we bring to your task are ones that have dedicated their professional lives to furthering their skills within. 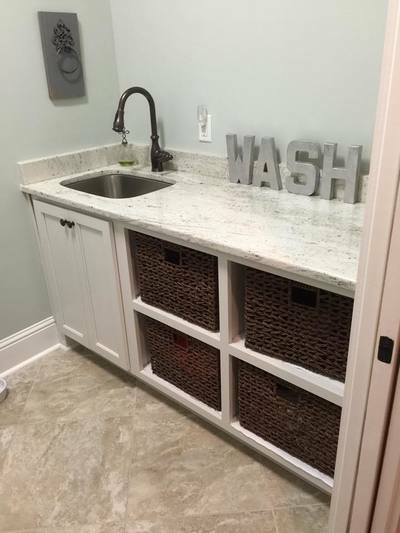 When you make the choice to call in Vance & Sons Cabinets, Inc., you have the means to design and install the perfect storage solutions to your home, and to bring you the personalization you’re looking for. Whether for a professional setting, or your home storage and style needs, you can rely on us. Custom kitchen cabinetry is one of the most requested services we receive, and we bring you a high level of experience and expertise in this option for your home. Whether you’re looking for a refacing service, rustic design, shaker cabinets or otherwise, you can be sure that we bring you an unparalleled level of skill. 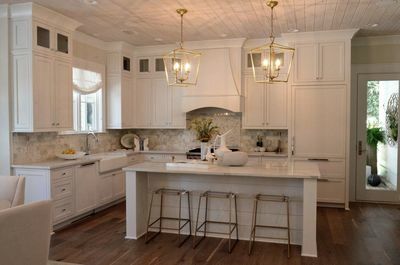 When making the choice to call in Vance & Sons Cabinets, Inc., you have the means to expert work in this important room. 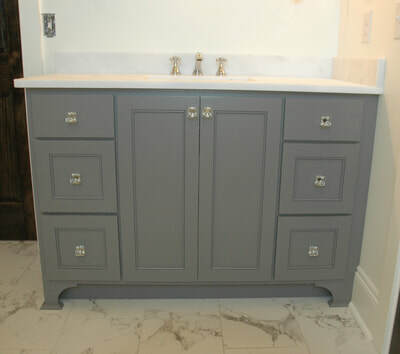 Bringing you the means to get the perfect vanity, linen storage, shelving and more, you have the capability to make your bathroom into a space that provides you with both the practical nature you need, and the attractive appearance you’re looking for to turn this space into one that you look forward to spending time in. From design to the final installation, we always aim to bring you results. If you’re looking for a means to get professional cabinetry installations while keeping your price and time investment on the lower end, then choosing a factory built cabinet solution may be right for you. 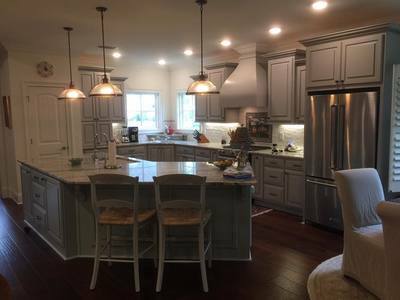 Vance & Sons Cabinets, Inc. provides you with the options you need to get the best results for your home, and always brings you the installation services you can depend on, whether custom work or prefab is the choice in mind. From professional file cabinets to integrated bookcases, you have the means to the perfect office setup with the assistance of the experts at Vance & Sons Cabinets, Inc. We bring you the means to completely design your office space from scratch, and to bring in the additional storage solutions you need to maximize your environment. From vertical filing cabinets to built-in shelving, you have your options laid out in front of you. The closet in your home brings you the main point of storage you’ll have, and when looking to specialize these spaces to bring you a more personally designed look and feel for your closets, choosing Vance & Sons Cabinets, Inc. is the right step. We bring you the means to create custom walk in closets, storage closets and more, to ensure that you have the ability to fine-tune these locations in a way that brings you more. Having a professionally crafted bookcase for your home or office can be the dream of many of the literary minded, and when choosing Vance & Sons Cabinets, Inc. to bring you the results you need, you can depend on a quality finish that will provide you with choice, beauty, and dependability. Whether built in, woodgrain, or any other number of choices, you can rely on our experts to bring you the means to make this dream a reality. Each step of every service that we bring to Baldwin County is aimed at bringing you a personalized experience that demonstrates the level of appreciation we have for your choice in our offerings. 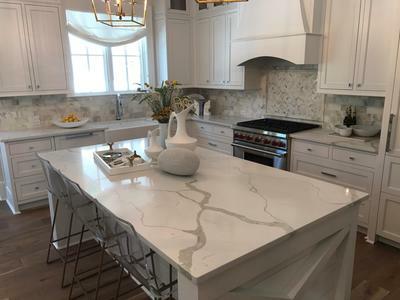 When you pick up the phone and call into the offices of Vance & Sons Cabinets, Inc., you have the ability to speak directly with a knowledgeable professional who can bring you the information you need regarding material and design choices. Making the choice to call in our professionals, is choosing to bring the best to your home or office, and to ensuring that you get dependable results. ​“After an unspectacular remodeling of our kitchen, we spent a year lamenting our choice. Eventually we called in Vance & Sons Cabinets, Inc. for refacing, and the results they brought were exactly what we were hoping for with our initial choice. 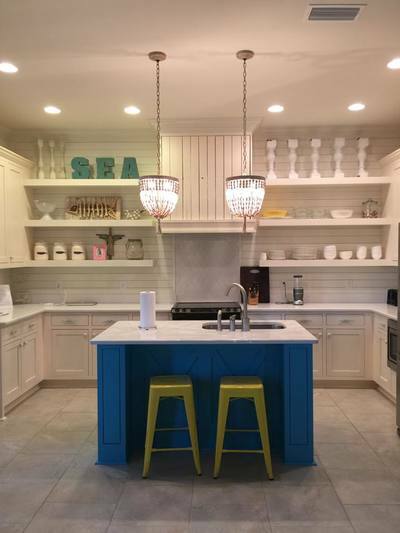 The skills they bring are truly second to none.” – Claudette D.
​“We wanted to redo some of the cabinetry in our home, but couldn’t afford an entire custom job. Fortunately, Vance & Sons Cabinets, Inc. brought us the choices we needed in a factory cabinet option. The end results still looked great, and their installation service was top notch.” – Bill H.
​“When we moved into our home, everything was perfect, but the bathroom was rather plain. 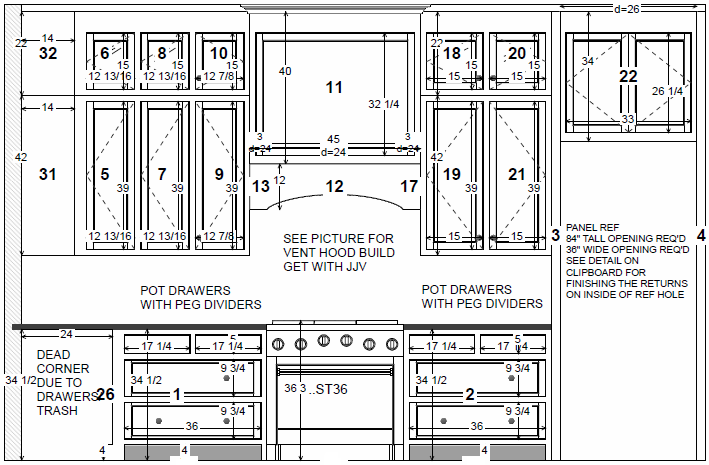 We eventually called in Vance & Sons Cabinets, Inc. for a remodeling of the cabinetry and to add more storage options. They worked with us every step of the way, and brought us a beautiful finish.” – Dwight R.